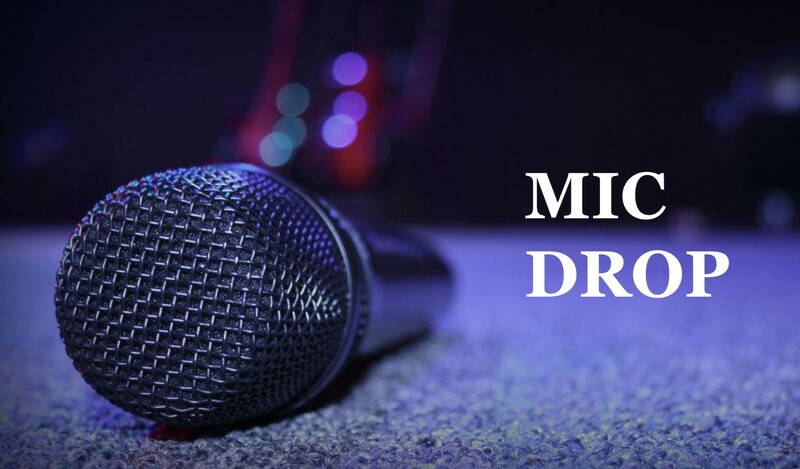 The term describes an act of intentionally dropping the microphone (also called a mic for short) after an impressive performance. In its metaphorical meaning, it means leaving a discussion after you achieve an absolute victory. Just do not forget that "mic" is pronounced like the English first name "Mike." Ex. My presentation was so successful. It was the ultimate mic drop.